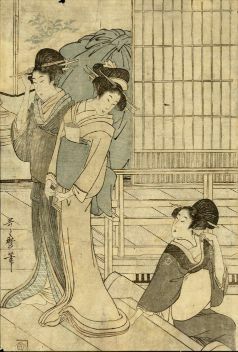 Women of the Pleasure Quarters by Kitagawa Utamaro (1750-1806). 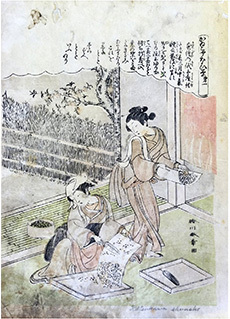 Japanese ukiyo-e woodblock print. 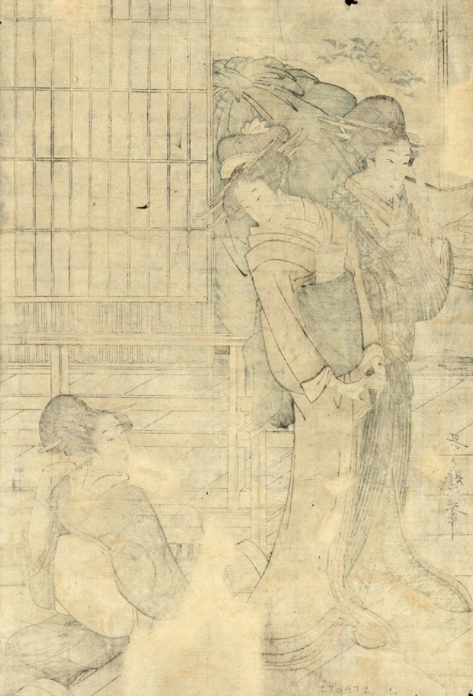 Published circa 1790. 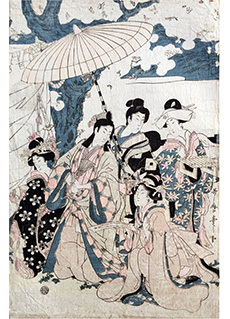 Right panel of a triptych; full triptych is part of Honolulu Museum of Art's Collection. Condition: Restored holes, fading and trimming.